Sunday April 14, 2019-Highly regarded Somali elders from North Eastern region are set to travel to Somalia to negotiate directly with Al-Shabaab terrorists in order to secure the release of 2 Cuban doctors who were abducted by the militants on Friday. Reports indicate that at least 10 of them left for Somalia on Friday to start the talks. 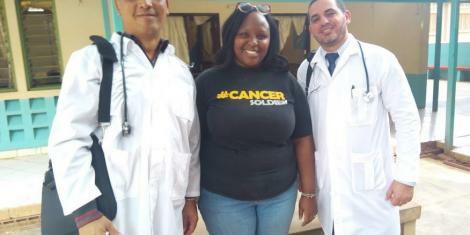 The Cuban doctors, who were working in Mandera, Kenya, as part of an exchange programme, were abducted in an ambush that left a police bodyguard dead. Meanwhile, Mandera Governor Ali Roba has condemned the attack and urged the Somali elders to initiate talks with their counterparts in Somalia in an effort to ensure the two doctors come back home safe. “We appeal to the security agencies to do whatever it takes to save the lives of our Cuban doctors and bring them back from captivity. I send my condolences to the family of the departed officer,” Roba reiterated in an interview to newsrooms.